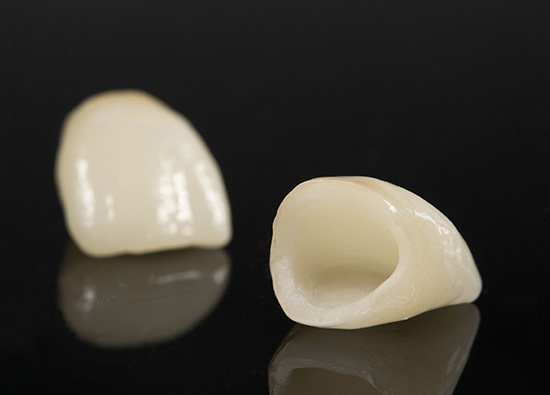 When a tooth is broken, or compromised by large fillings, and needs to be covered to restore it and hold it together, a Porcelain Fused to Metal Crown (PFM) or all ceramic crown can be used. The lay term is “Cap”. Approximately 1.5-2mm of the tooth is reduced circumferentially and 2mm of enamel is reduced off the top of the tooth, then a Crown is made and cemented to place. It is still possible to get a cavity at the margins of the Crown, where the Crown meets the tooth, and on the root surfaces, if the Crown does not fit well or if the person does not maintain good hygiene. Bridges or Fixed Partial Dentures (FPD) are cemented onto two or more teeth to replace one or more natural teeth. 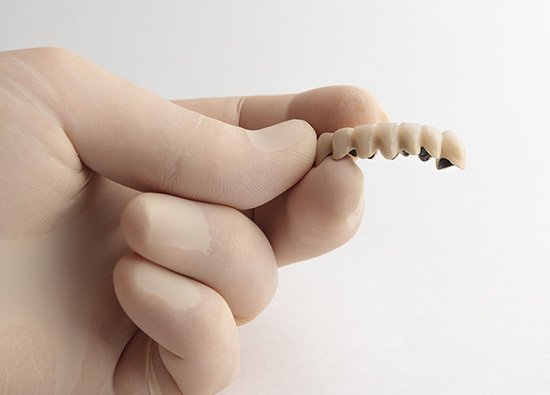 The teeth on either side of the missing tooth/teeth are cut down, Prepped, so a Bridge unit called the Retainer, can fit over it to support the Bridge.